Chris Christie certainly tells it like he sees it. That's not to say he always tells it like it is. In a Republican presidential kickoff speech centered on a pledge to talk straight, the New Jersey governor sometimes exaggerated his record and skipped over more troublesome realities in a state with a struggling economy, a chronically underfunded state pension system and an increasingly gridlocked government. CHRISTIE: "We've refused to raise taxes on the people of this state for six years." During his first term, Christie cut the earned income tax credit, which largely benefits low-income workers, from 25 percent of the federal credit to 20 percent. He surprised Democrats last week by proposing bringing it up to 30 percent in the budget year that started Wednesday. Democrats quickly approved the change. Christie also repeatedly delayed implementing the Homestead credit program, which grants property tax relief, angering elderly and low-income homeowners, even as he capped property tax increases overall. He also extended the sales tax on online purchases to out-of-state retailers and pushed for higher taxes on e-cigarettes, but failed. This, while criticizing the previous Democratic administration for raising taxes and fees more than 100 times. To be sure, Christie has vetoed a number of proposed tax increases but his record is not free of raising taxes or their close cousin, fees. CHRISTIE: "We rolled up our sleeves and we went to work and we balanced six budgets in a row." THE FACTS: He had no choice. The New Jersey constitution requires balanced budgets, as many states do, and they are achieved one way or the other, often with some accounting tricks. Christie also has one of the most powerful governorships in the country, and has the power to veto whatever spending items he chooses. CHRISTIE: "We made the difficult decisions to reform pensions and health benefits and continue that fight today." THE FACTS: The governor indeed overhauled the pension and health benefits system for public employees, with the help of unions and Democratic lawmakers. But the deal that made that happen has been branded unconstitutional — by his own administration. Donald Trump: "I Don't Think It Matters If I'm Nice"
The deal involved union concessions such as higher retirement ages and health care contributions. In return, the state agreed to put more money into the system. But when tax revenues came in far lower than expected last year, Christie reneged on his side of the agreement. The state Supreme Court ruled the governor wasn't on the hook for the payments. In a peculiar twist, his administration's lawyers had challenged the constitutionality of the agreement. Christie's political action committee even sent a fundraising pitch saying the court's ruling means taxpayers won't shoulder "an impossible tax burden from a union agreement that never even met the standards of the New Jersey Constitution." 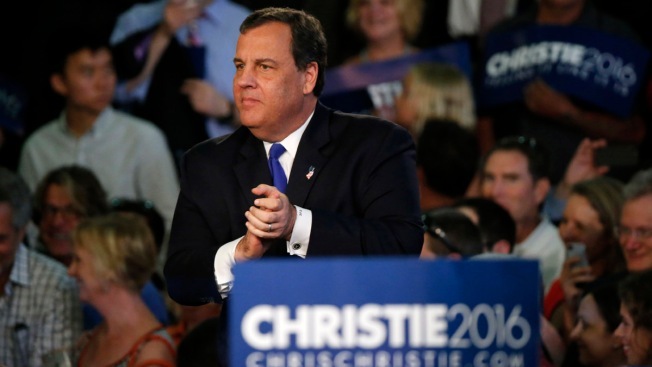 Christie's further efforts to fix the pension system appear to be going nowhere. CHRISTIE: "We need to get our economy growing again at 4 percent or greater." THE FACTS: Few economists, liberal or conservative, think that's likely. A 4 percent target, also prominently preached by Christie's Republican rival Jeb Bush, would require a doubling of growth from the current level, and big trends are pushing against that prospect. Among them, baby boomer retirements are limiting the number of workers in the economy. More automation and low-wage competition overseas are contributing to meager income growth, which has restrained the consumer spending that drives the majority of economic activity. The odds of achieving sustainable 4 percent growth were low even when the demographic trends were more favorable. Only four of the 16 presidential terms since World War II have experienced annual economic growth averaging more than 4 percent after inflation, according to economists at Princeton University. Harry Truman saw it happen as U.S. manufacturers helped rebuild post-war Europe. Tax cuts contributed to a boom in the Kennedy and Johnson administrations. Bill Clinton benefited during his second term from low interest rates and what eventually became a tech-stock bubble.